MEIKO and KAITO on Project DIVA! Yep, they’re finally confirmed by PIAPRO to be in the game. This means that all Crypton Vocaloid (as in Hatsune Miku, Kagamine Rin, Kagamine Len, Megurine Luka, KAITO and MEIKO) are in Hatsune Miku -Project DIVA-. Along with this information, PIAPRO also revealed three new Hatsune Miku costumes. 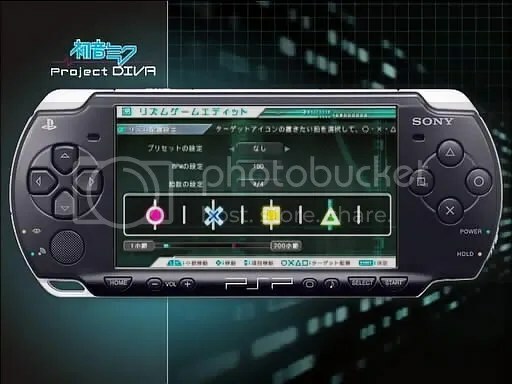 And of course, I’ll explain how the music editing feature in Hatsune Miku -Project DIVA-, as well as a gameplay video with “The Secret Garden”, a song composed by Kousaki Satoru and Hata Aki, which is this game’s theme song. And a relatively new commercial. Read on after the break to view them all. I love all of them. Can't choose which one's the best! I don’t know what will they be in the game or wether or not they’ll be a costume for Miku. For some reason, KAITO’s model looked like a girl to me. So anyways, three more costumes for Hatsune Miku was revealed by PIAPRO, and you can see them above. I love all of them! I can’t choose which one’s the best one. And there are six more degigns that were accepted but haven’t been converted into a 3D model yet. You can view all accepted designs in here. As I have said before, there is a relatively new commercial on Hatsune Miku -Project DIVA-, which showed off the music editing feature. You can also hear “The Secret Garden” in the commercial. You can see that video below. So let me explain how the music editing works. From what I’ve heard, it lets you add your own music to be played in Hatsune Miku -Project DIVA-. The editing process is fairly simple. 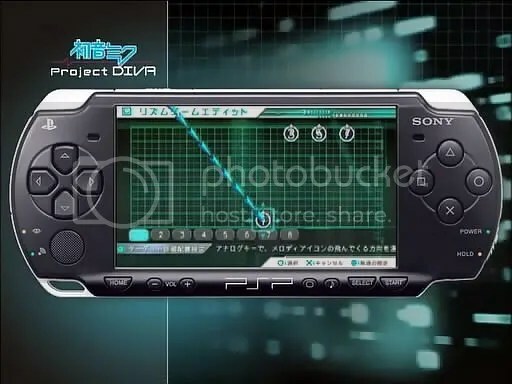 First, you select the buttons on your PSP that you would like to use in your song. Those buttons would then be numbered and you can place them in grids and position it and determine where it will come from. And then, you can just select a stage, a costume, and make Miku dance according to the presets available. And you’re done. You can see how it works below. Select the button to be played in your song! Determine its position and where it'll come from. And choose how Miku will dance to that song. Also, you might have seen the World is Mine gameplay video, embedded below. The tambourine noises from the buttons really are annoying. It seems like that those tambourine noises can be disabled. Below, you can see two gameplay videos, one playing “World is Mine” (it’s quite old) and another playing “The Secret Garden”. Thanks for reading! Hatsune Miku -Project DIVA- is going to be released in 2nd July. The Asian version of the game and the accessory set have sold out in Play-Asia, but you can still pre-order the Japanese version of the game here. We’ll bring more information about the game soon! Well, this was unexpected. Now we have the entire family…almost. So that's 27 out of 39 costumes revealed. Awesome! Wow! This is quite exciting. Meiko looks cute. OMG! Awesome! I totally can’t wait. "The Secret Garden" is not an OSTER PROJECT song. It is by Kousaki Satoru and Hata Aki. It's so close to release, I can't wait >< I just want it so bad. What!? Are you kidding me?! Do you think there will be a translated version of the game? 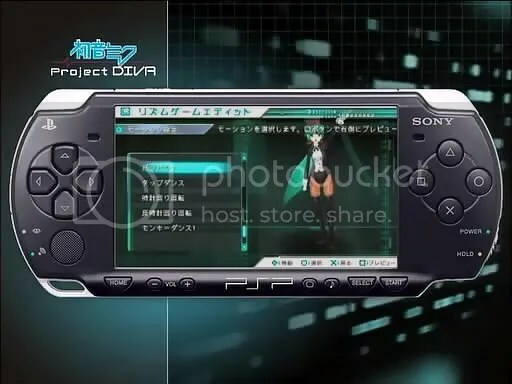 Also, will the japanese version of the game work on an english PSP?